Where does A Portrait of the Artist as a Young Man rank among all the audiobooks you’ve listened to so far? What other book might you compare A Portrait of the Artist as a Young Man to and why? Ability to perform in different characters' voices. The description of Uncle Charles. Joyce can be tough slogging to read. I foudn the sermon section stultifying when I read it but mesmerizing when I listened to Norton's performance. 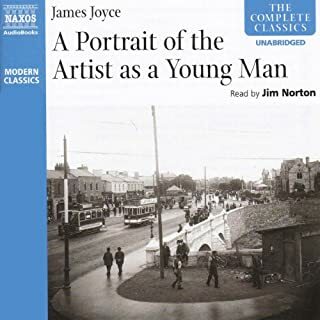 This audio book greatly aided my appreciation of the novel and of Joyce's artistry with language.